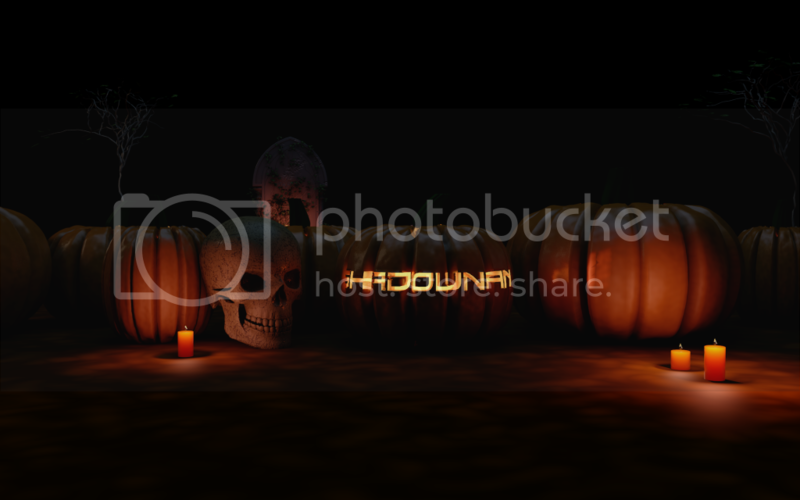 In this tutorial, Chris and Nick show you how to make this Jack-O-Lantern pumpkin scene in Cinema 4D. First, Chris shows you how to model it using a Loft Nurb, the connect object, a boole for the face cutout, and displacers to make the pumpkin bumpy. 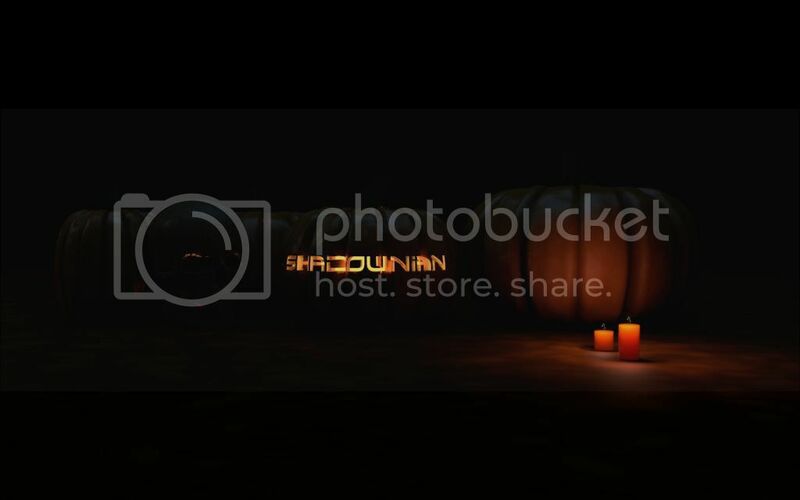 In part 2, Nick will show you how to light, texture, and render your pumpkin scene for compositing in After Effects. I have a C4D n00b question: when creating the “inside” of the original pumpkin (around 8:00 in Part 1) I somehow managed to create a HyperNURBS object instead of an Instance. Only realised my error when I got to 28:00 of the same video – and of course, the inside of my pumpkin isn’t scaling with the outside when I adjust the Radius size of those middle NURBS. Is there any way I can salvage this or do I need to start over? can u make a tut please? I takes more than 1 hour to copy and make new positions. Here’s one I made a while back. The hair was inspired by one of Nick’s hair tutorials. I am really interested to know about this one..
can u make a tut on this one?? I am so excited to know about this one..
That is made practically I think. Just paper, a camera, and a lot of time. Terrific…. Nick & Chris… As allways. I love it. By the way….. Have you ever try to light up and/or texturize whith this free pluging of Nitro4D (http://nitro4d.com/blog/freebie/magicpreview/). It’s wonderful and it’ll speed up yor workflow. Thanks again, and again, and again. Any insight on why the texture on the pumpkin null object wouldn’t work? I followed the tutorial and everything is set up according to the directions. The inside instance shows the texture assigned to it, the hierarchy appears to be in the right order, but the outer skin is default grey and doesn’t reflect the texture assigned to it. I’m using R12 Broadcast — don’t know if that has anything to do with it. Otherwise, this was an awesome modeling tutorial! did you figure this out man? Great tutorial, I got a lot out of this. First I nearly didn’t bother ot watch it as the final result looks a little old school ray traced. Really cool though. It’s always interesting to see how we all tackle projects / workflow. Another option would be to use displacement as an alternative to booles. i know this might sound stupid but what layout are you using. i cant do anything past 8:50. please help! This is my result from the Tutorial: https://vimeo.com/52487647. Thank you for sharing these great techniques! I had to go with Raytraced Shadows; Area Shadows were taking days to render! A quick question. I started rendering from C4D to AfterEffects and suddenly I realize that the sky was missing. I’m not sure why. Btw this tutorial is great, thanks for the tips and Happy Halloween to both of you guys! Oops…that link didnt show…this should…. Did it all in cinema…save for a curves adjustment in photoshop. I wish You could make tut on modeling a realistic skull someday. It would be awesome. I was trying to model it few times, but my workflow and the outcome wasn’t too good. can wait watch and learn from you how to make character like on that link. With so many powerful modelling tools now available in C4D and R15 adding a host of new ones, loop slide being a huge help it’s really bad practice to teach people to use the Boole object. It creates triangles and Ngons which are nasty to animate and can cause artifacting when rendering. I think it would look even better with SSS. Thank you so much for this tuto ! I followed almost up to the end, but I didn’t get to have the same result of the shadow as the example. My lights don’t give any cast on the floor. I tried to modify several parameters like light, sky, material, etc.. but I couldn’t figure out what it was about. I’m waiting for someone’s advise ! Thanks in advance ! Thank you for the tutorial, it was a nice help for my project. you can just save for a curves adjustment in photoshop.